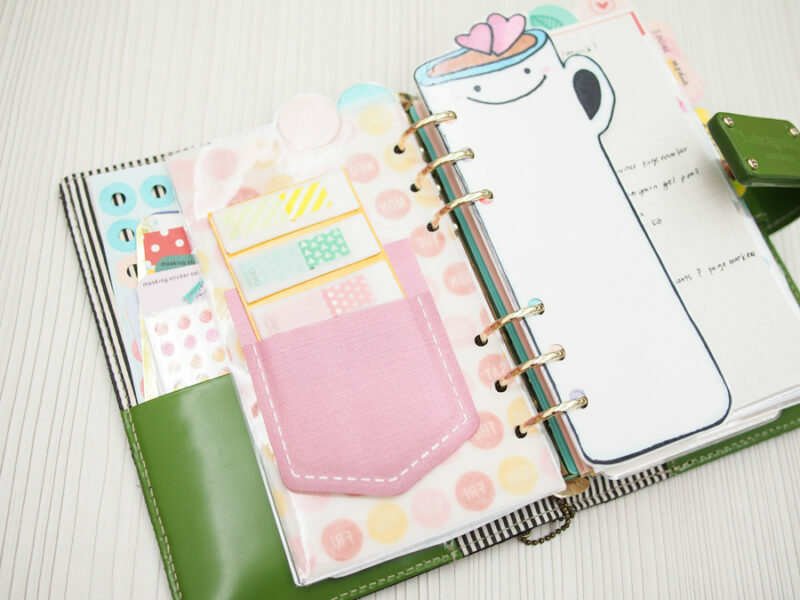 Hello there, today I am gonna show you how you can never have enough pockets in your planner(s). 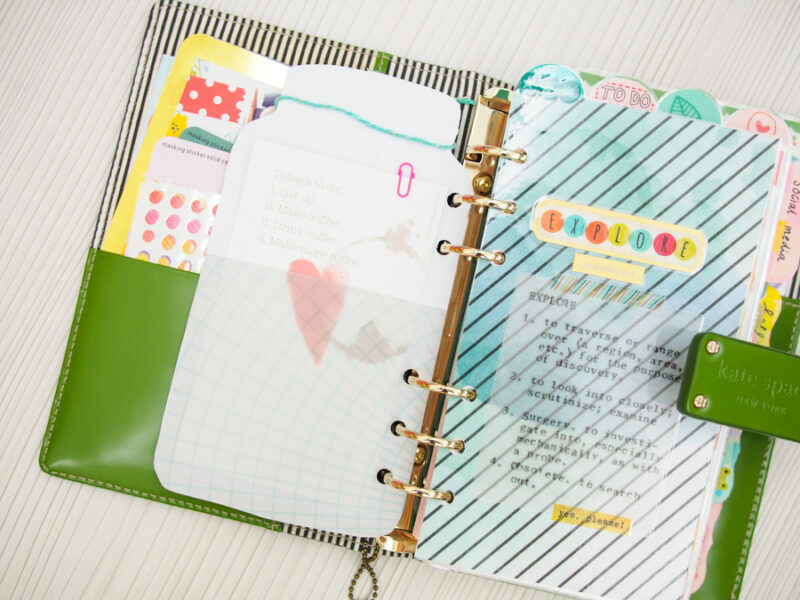 You can read previous blog post by Florence on what she store in her pockets + an awesome tutorial by Candi on how to make pockets for your planner. I am gonna show you even more pockets, just because it never hurts to have some pockets to hold your bills/receipts, project life card, to-do list etc right? 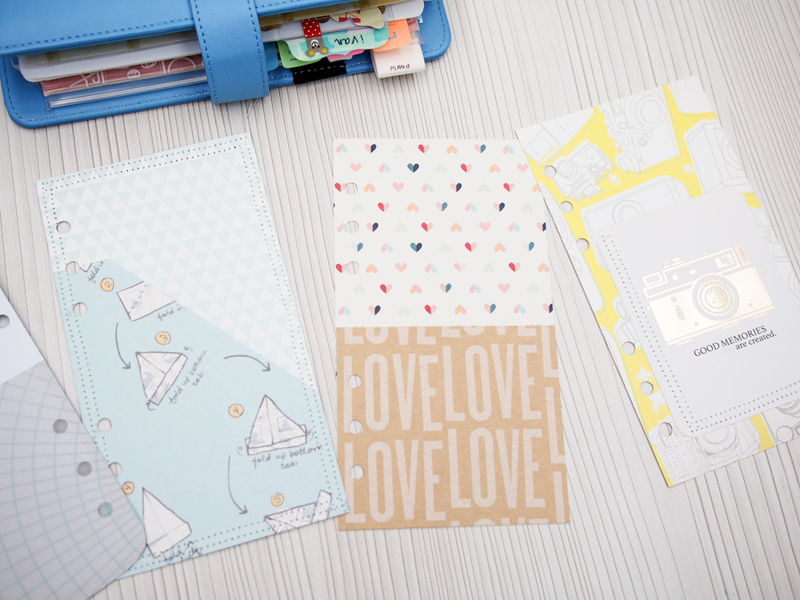 Firstly, I made some pockets using scrapbook papers using Candi’s tutorial. 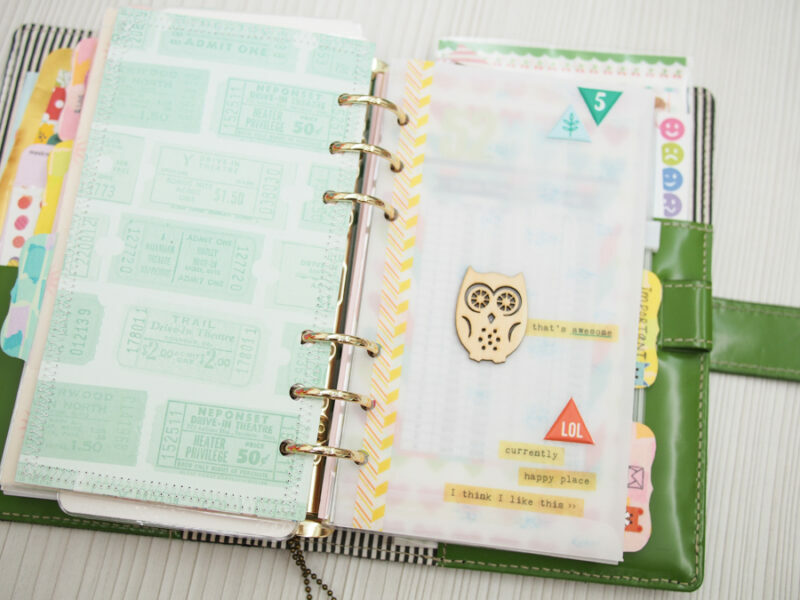 I am using personal sized planner from Kate Spade and also Webster’s Pages Color Crush (in Sky) so my pockets look much smaller than Candi’s (as she is using an A5 equivalent Kikki K planner). 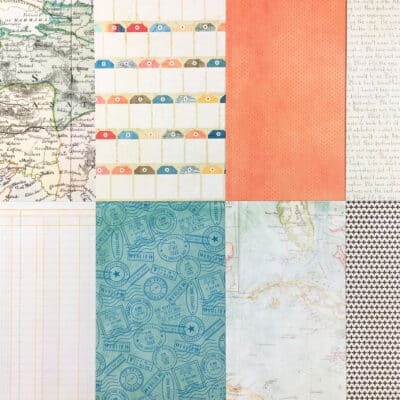 I just cut down a few pieces of scrapbook papers to the size of personal inserts. 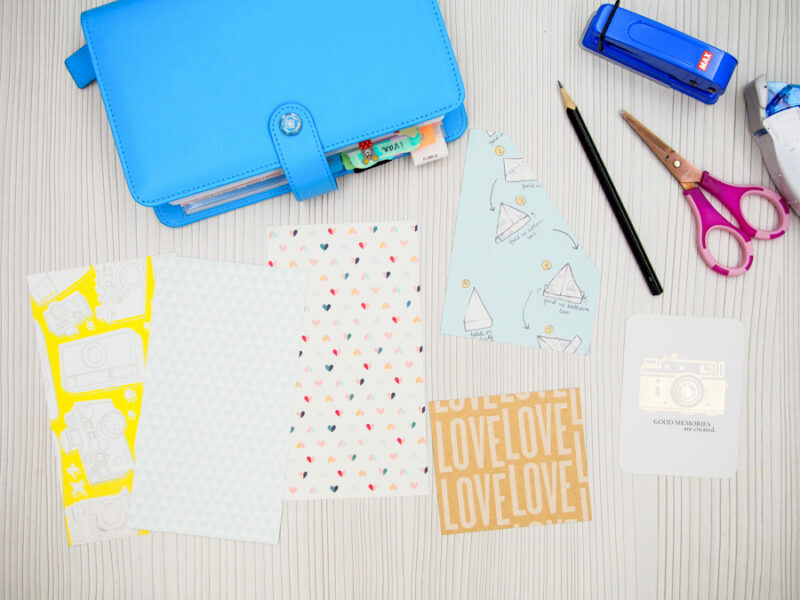 You would need scissors, paper trimmer, tape glue and hole punch for making pockets. I am using the smaller pieces of scrapbook papers / vellum in the above picture to make the pockets. 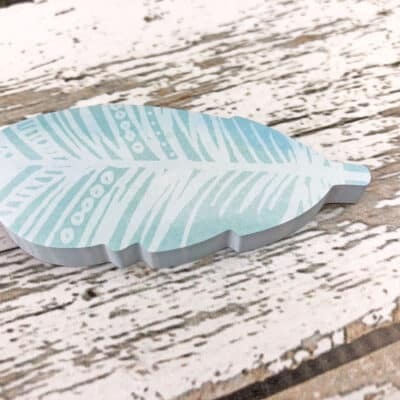 Even project life cards are perfect for that! And this is how it looks like after i glue the smaller pieces on the dashboard. I added machine stitching just for fun and love the texture! Don’t worry, stitching on paper with sewing machine is kinda easy and fun. This is the front of my March dashboard – i drew the Mason jar and fussy cut it myself and add a piece of vellum behind to use as pockets to hold some loose note papers. 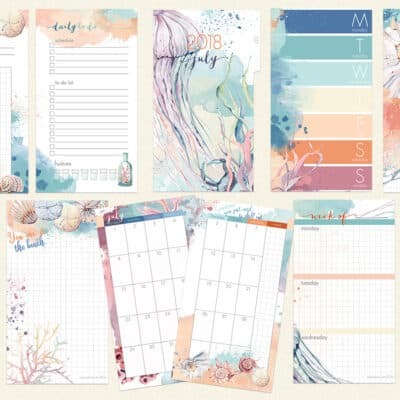 Love these note papers from the Feb kit. I am a sucker for everything with hearts. 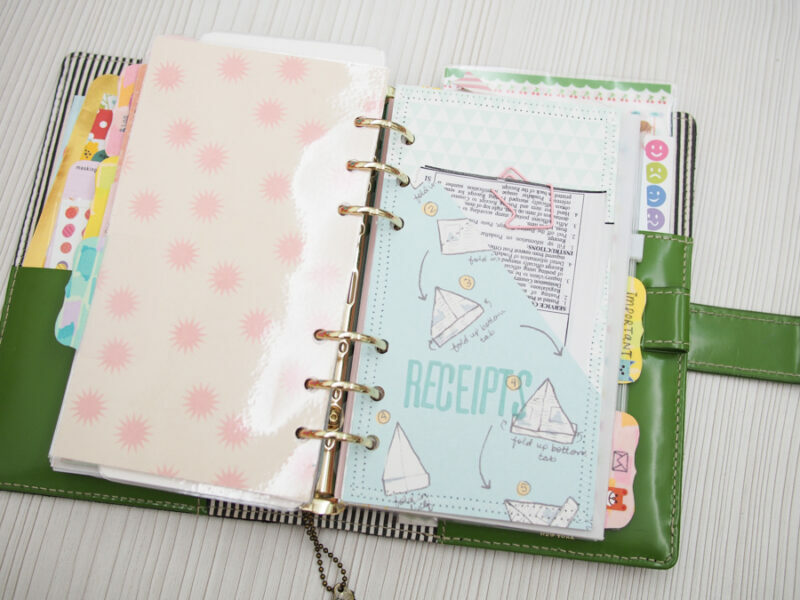 You can also use the pockets to hold receipts / bills. 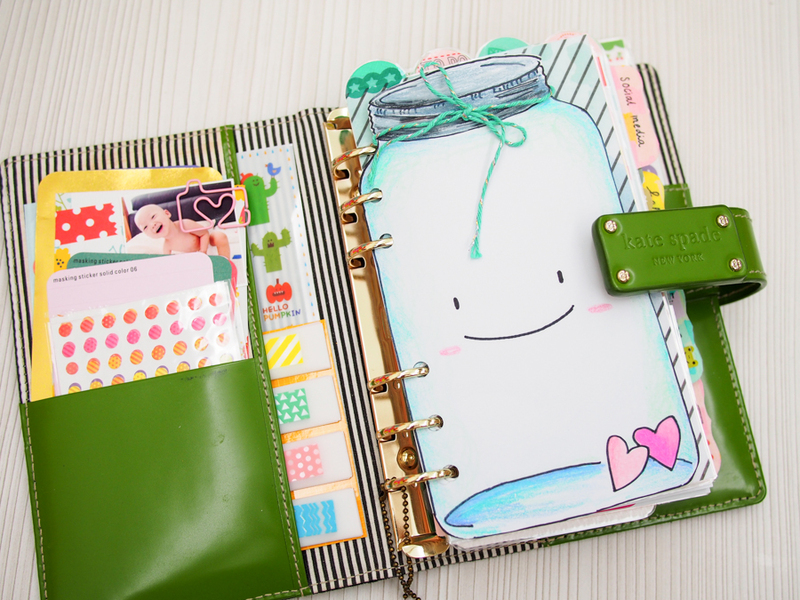 But remember to take them out to file them else your planner gonna be bulky! 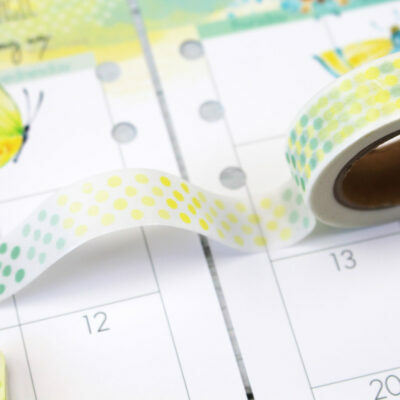 I am using a vellum envelope (trimmed down to fit the personal sized planner and punched holes) then it can use to hold some loose change for my 52 weeks money challenge. I also use the pockets to hold some project life cards as i often use them as to-do list / writing quotes or to make the planner pages more colourful. Here’s the pocket that I made with project life card. 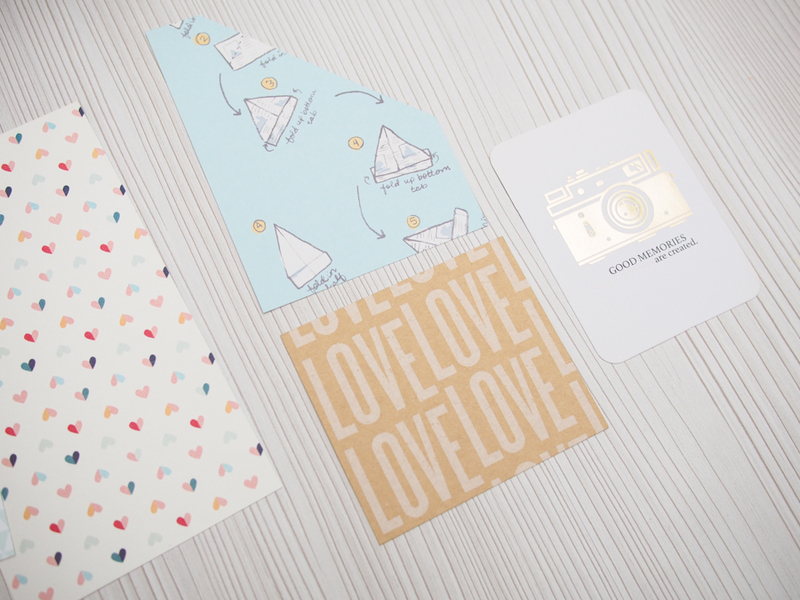 I only stitch 2 side of the card to the dashboard so that it is easier to keep stickers or sticky notes in and out. more ideas for pockets – most of your filofaxes / planners might come with zipper pouch / top loading pouch (which you can find here). 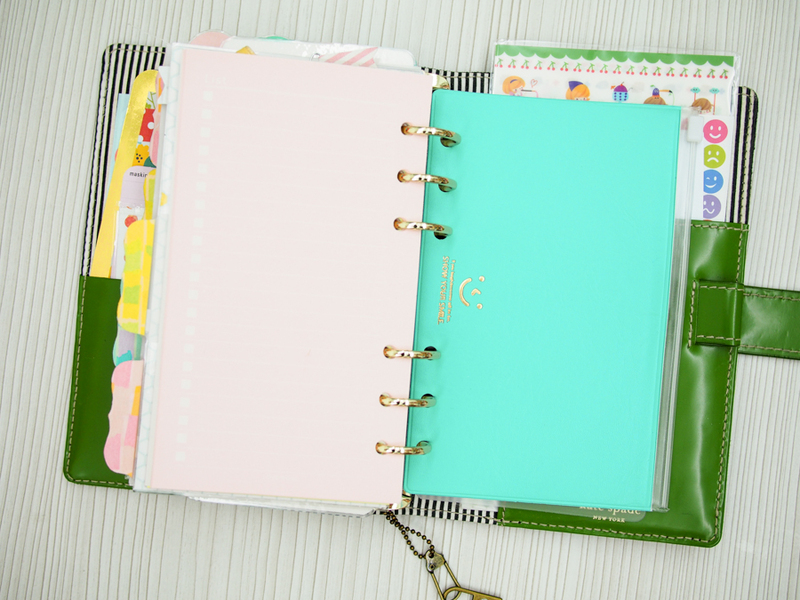 But I love fun and colourful stuff so I use a normal zipper pouch / slim pen case, punch holes and use as zipper pouch in my planner. I even have matching colours for all my planners. 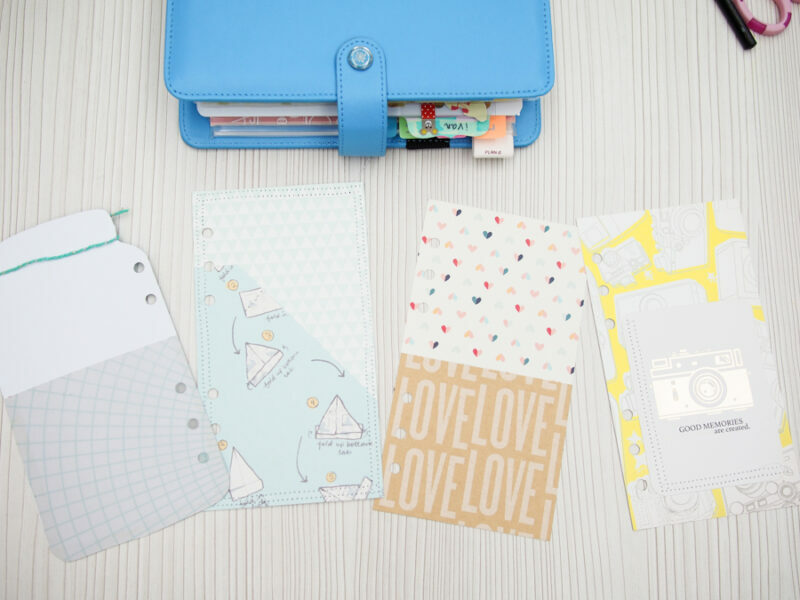 and some interesting finds: sticky pockets – The pockets are like post its notes which you can stick them on paper and they are removable. 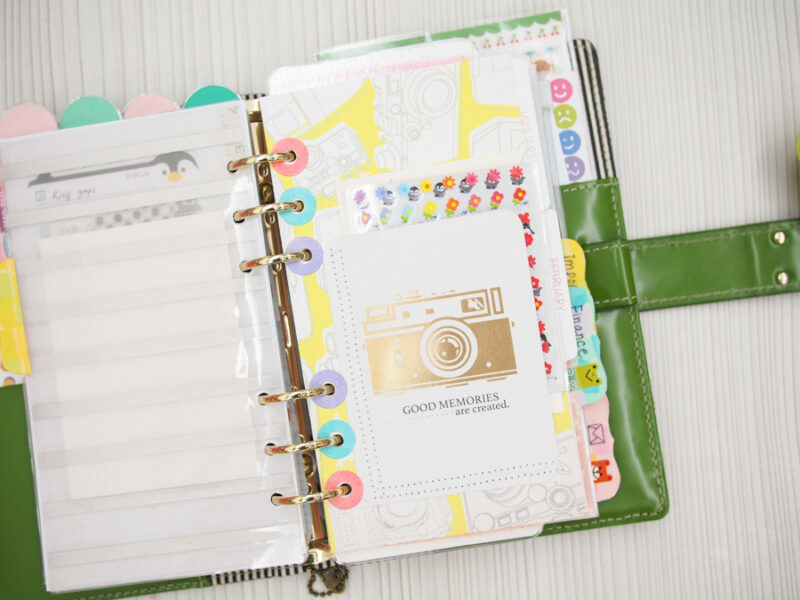 such fun accessories to the planners right? I hope you had fun reading my post about what you can use as pockets for your planners. Thanks for dropping by! Where did you find the sticky pockets? Oh, I know this post is old, but I love the mason jar and coffee cup! 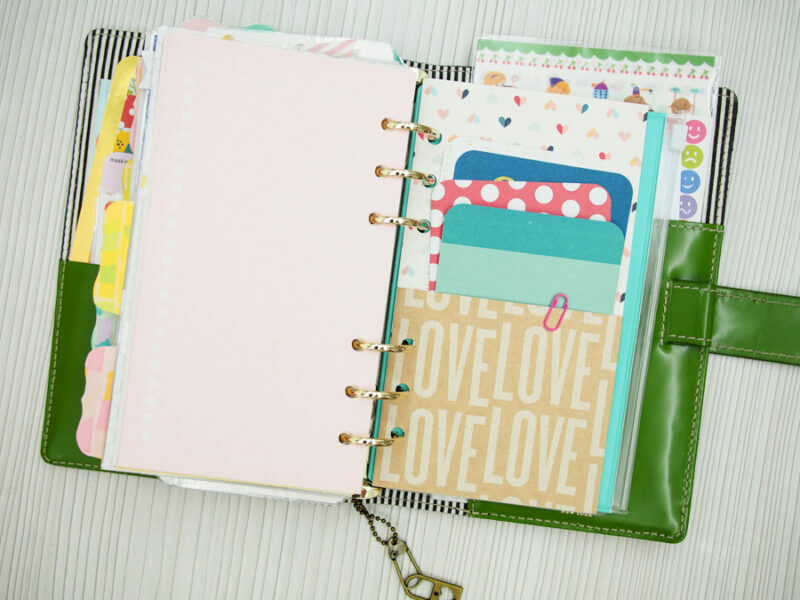 I can totally see using them as dividers in my new planner. I wish I had your artistic skill, though. Mine wouldn’t be nearly as cute. Any chance you’d make a printable with them?